Take risks. Not once. But over and over. How leaders handle risks makes a difference. Mitt’s company sold Fast Moving Consumer Goods (FMCG) through a retail network. The company had saturated urban markets and saw the vast rural Indian population as the next growth opportunity. Mitt, with his IT background, saw a chance to transform the company’s business using the power of information. A reliable and up-to-date subscriber database is the Holy Grail of marketing. Such a database not only helps track consumer buying habits, it helps pitch products in a personalized fashion and add new customers. Mitt’s conceived of a toll-free no. that rural subscribers could call to receive 15 min of free radio programming over the mobile phone. A database built by attracting subscribers in this manner could lend itself to effective marketing tactics. Other ideas like loyalty programs could then be layered upon this. Mitt took this idea to business leads. He got some marketing executives excited. Most however cautioned Mitt about challenges that lay ahead. Rather than being discouraged, Mitt noted down risks and consulted others on ways to address them. He put together a core team with cross-functional representation to sift through information and plan the way ahead with his guidance. Ultimately, Mitt and team figured out a path ahead and made an ‘investor pitch’ to the company executives. Executives saw someone passionate in pursuit of an idea that had the potential to transform business. They found Mitt had already thought through many of the risks they brought up in the Q&A. Even though success was not guaranteed, they perceived they had an experienced leader at the helm. Mitt to let go of his previous role to work full-time on this opportunity. Hardy worked as Mitt’s peer in the same company. His division met the IT needs of the company’s supply-chain. Hardy’s team delivered and supported enterprise IT solutions. Hardy ran a tight ship. His team constantly out-performed the industry benchmarks for quality and productivity. Hardy took pride in setting aggressive ‘stretch’ goals and then delivering them year after year. So when the CEO’s role opened up, both Mitt and Hardy applied. Who do you think got the promotion? Either you are taking risks. Or you are working for someone who is. To advance your career, make a habit of taking risks. 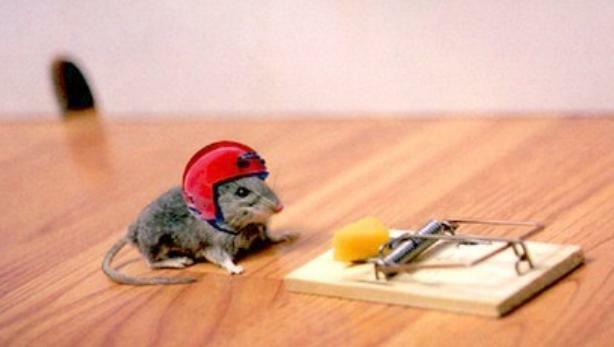 REMEMBER: Take calculated risks, not foolish ones. ← How to make a partner of a customer. The Run-Grow-Transform model.